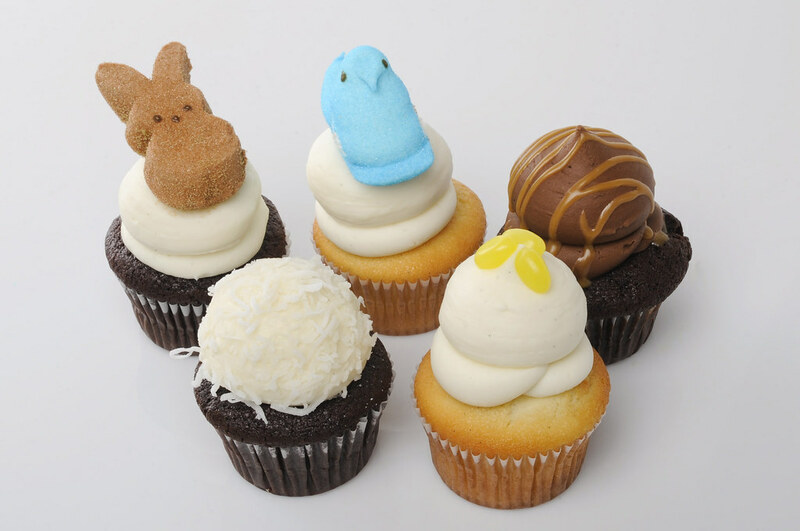 Starting April 1st and going through Memorial Day, Boston's Sweet will be selling a selection of spring cupcakes, including Peeps ones! I'm going there in a few weeks so I will definitely stop by and try them. Sweet Peeps - Sweet's signature vanilla and chocolate cupcakes and homemade vanilla buttercream frosting dipped in sanding sugar and topped with the classic springtime candy treat. They're $3.25 each or $36 for a dozen. Sweet will also open a second location in late April at Zero Brattle Street in Harvard Square. Wow! A Harvard Square location! I usually make the journey into Boston for these great cupcakes, but now I can just walk through the sqaure!!! Thanks for the info! These cupcakes are super yummy, but way too expensive for me- 3.25 for a regular sized cupcake is just too much. I haven't been in the Mass Ave shop; I'd like to try the cupcakes, but the flat screen TV on the wall kinda turns me off, I admit. I'll check out the Harvard Square location because I go by there more often.